Canadians love cottages. In fact, a survey by Re/Max found that 68 per cent of Canadians would prefer a cottage weekend over a destination vacation. I can definitely see the appeal — sitting on a dock in the sun might just be the best way to recover from our long, harsh winters. Many Canadians aspire to own cottages, and the market is booming. 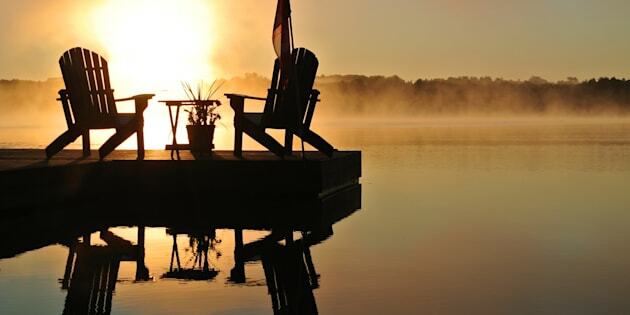 The most common types of buyers are young families with children and people near retirement who are looking to make a cottage-country property their primary residence. In both cases, the issue of passing on the cottage comes into play. If you own a cottage and are thinking of leaving the property to your children or beneficiaries one day, there is no guarantee that it will go as smoothly as you might envision. Cottages are hugely sentimental and personal, and emotions often run high when heirs try to work out an ownership arrangement amongst themselves. To avoid disputes and the potential for lasting animosity, it's important that you, the cottage owner, decide the best way to pass the cottage along and to whom. So, how do you decide who should inherit the cottage? Ask your potential heirs. It's possible that one child may want the cottage more, or they may not want it at all. You should also consider other factors, such as where your children live, what stage they are in their lives both emotionally and financially, and how much they might potentially be able to take advantage of the cottage. If you decide that you want to pass on the cottage, my strong recommendation is to sell or transfer it to your heirs while you are still alive. On a practical level, it means that the cottage is taken care of when you can no longer enjoy or maintain it due to mobility issues or illness, or don't have the mental capability to make informed decisions as you age. There are also financial benefits. When you pass away, there is a deemed disposition on the cottage, which means that taxes on the property must be paid off. If the value of your recreational property has increased substantially since you bought it (which it likely has), your heirs may not be able to afford the tax liability and the cottage may have to be sold to cover the tax liability upon your death. However, if you sell or transfer ownership of the cottage to your heirs before you die, you avoid probate fees and prevent potential conflict among your family over who pays the taxes. To avoid disputes and the potential for lasting animosity, it's important that you, the cottage owner, decide the best way to pass the cottage along and to whom. Another alternative is to set up a trust, which is called an "inter vivos cottage trust" if done during your lifetime. Owners can transfer the cottage to one or more trustees who hold the assets for the beneficiary (or beneficiaries). While the beneficiary does not legally own the trust property, there are a number of advantages to this estate planning tool, including protection from creditors, avoiding probate fees, and the ability to fund the trust with enough money to pay for expenses and taxes, which again, can help to avoid arguments about money between siblings. Additionally, an inter vivos cottage trust can prevent spouses of trust beneficiaries from accessing the cottage property on any relationship breakdown. In any case, it's recommended to consult an experienced estate planning expert who can ensure you have considered the best solution for your personal needs. Remember: the most important thing is family. Family cottages are the source of happy memories, but they can also cause headaches if you don't have a sound estate plan in place. With open communication and proper planning that takes into account your heirs' desires and lifestyles, you can pass on your cherished cottage while avoiding family conflicts.